During the bride's preparation on the big day we, wedding photographers are trained to hunt for candid moments. However, in order to maximize our success chances and deliver the couple a variety of imagery, I often prompt the bride and groom were in this case, the bridesmaids. We either do silly things that cause them to laugh or we incite them to perform in a certain way that is hilarious and makes the wedding day more fun. A long time ago, I learned from an old wedding photographer in Toronto for whom I worked as a second shooter that the way you make your clients feel is sometimes even more important than the beauty of the images you deliver. If you force the beautiful bride into doing something she's not comfortable, she will dislike the experience in that will reflect in her face and ultimately in your wedding photos. Aren't you convinced of that? Then why most of my couples mention during the consultations that they like a photo journalistic photography style? There is no way of quantifying quality when it comes to wedding photography so something that remains in your clients memory is the experience. How the field during the photo shoot? With the comfortable? Do they have a good time or they had to hold a pose for a long time until the professional photographer got his shot? As you can tell, I am a fan of delivering my brides and grooms an amazing experience even if I have to sacrifice one or two images. There are situations when I see an opportunity that appears once-in-a-lifetime but if my clients are not willing to work with me, I will not try to force them. Such situations are for example in a location that is magnificent from a visual standpoint but presents some safety risks. I will never expose my bride and groom for the sake of taking a breathtaking photograph. 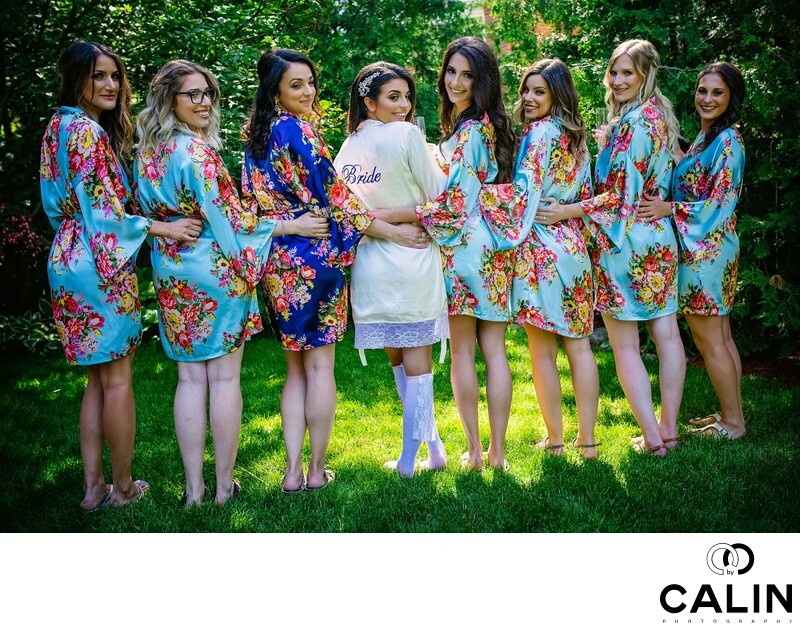 Fortunately, the bridesmaids at this Château Le Parc event were more than happy to collaborate in taking some fun photos. As such, I asked them to turn their back towards me, cross their legs in and at the count of three to turn towards me. That resulted in this beautiful image which is now part of the wedding album. I usually try to direct and create good photos during the bride preparation and the photo shoot. Generally, I adopt a hands off photography style during the wedding ceremony and the reception and I focus on the moments in the love expressed by the couple or their guests and family. That is why I always insist that shooting the bride preparation is one of the best things we can do to create beautiful imagery.